These are the 10 Oldest Buildings in the World. See also; 10 Most Famous Cultural Monuments in the World. The palace of Knossos was the ceremonial and political center of the Minoan civilization and culture.The palace was excavated and partially restored under the direction of Arthur Evans around 2000 BC. Its size far exceeded his original expectations, as did the discovery of two ancient scripts, which he termed Linear A and Linear B, to distinguish their writing from the pictographs also present. The palace was abandoned at some unknown time at the end of the Late Bronze Age, ca. 1380–1100 BC. The occasion is not known for certain, but one of the many disasters that befell the palace is generally put forward. The abandoning population were probably Mycenaean Greeks, who had earlier occupied the city-state, and were using Linear B as its administrative script, as opposed to Linear A, the previous administrative script. 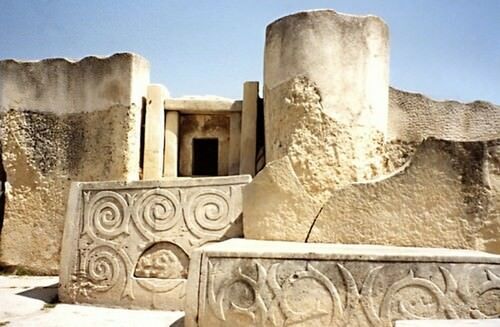 Located in Saqqara necropolis, Egypt. The Pyramid of Djoser was built during the 27th century BC for the burial of Pharaoh Djoser by Imhotep, his vizier. This first Egyptian pyramid consisted of six mastabas built atop one another. The pyramid originally stood 62 meters tall, with a base of 109 m × 125 m. It was clad in polished white limestone. The step pyramid is considered to be the earliest large-scale cut stone construction. 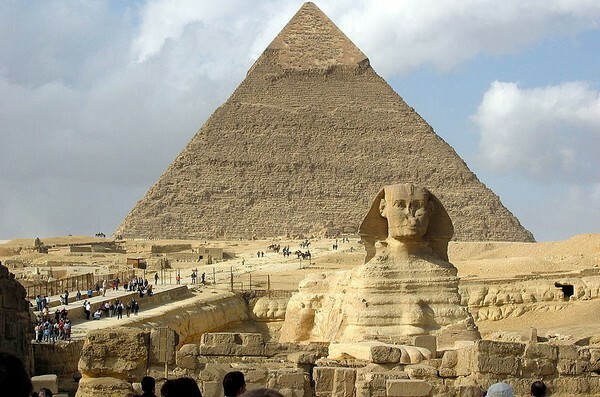 The oldest known stone pyramid structure dates to 3000 BC or up to 4,700 years ago. The Tarxien Temples are an archaeological complex in Tarxien, Malta. They date to approximately 3150 BC. The site was accepted as a UNESCO World Heritage Site in 1980. The Tarxien consist of three separate, but attached temple structures. The main entrance is a reconstruction dating from 1956, when the whole site was restored. At the same time, many of the decorated slabs discovered on site were relocated indoors for protection at the Museum of Archaeology in Valletta. The first temple has been dated to approximately 3150 BC and is the most elaborately decorated of the temples of Malta. A prehistoric monument and the oldest buildings in Ireland. It was built during the Neolithic period, around 3200 BC or up to 5,100 years ago. Newgrange is older than the Egyptian pyramids and Stonehenge. The building consists of a large circular mound with an inner stone passageway and chambers. In these chambers, human bones, possible grave or votive offerings were found. It is believed that the site had religious significance, but there is no agreement about what the site actually was used for. Today, it is a popular tourist attraction. The site was regarded by the prehistorian as the great national monument of Ireland. It was also noted as one of the most important megalithic structures in Europe. See also; 20 most enormous monuments in the world. La Hougue Bie is a historic site, with museum, in the Parish of Grouville, Jersey. This site was in use around 3500 BC. The site consists of 18.6 meter long passage chamber covered by a 12.2 meter high earth mound. The site was first excavated in 1925 by the Société Jersiaise. In Western Europe, it is one of the largest and best preserved passage graves and the most impressive and best preserved monument of Armorican Passage Grave group. During World War II it was used as a key lookout point, and an underground command bunker was built in the mound and adjacent. This is the oldest stone house in Europe. It was originally part of a Neolithic farmstead. Radiocarbon dating shows that it was standing since 3700 BC to 3100 BC, or up to 5,500 years ago. Now this site is in the care of Historic Scotland. It is the third among oldest buildings in the world. See also; Top 10 Wonders of the Ancient World. 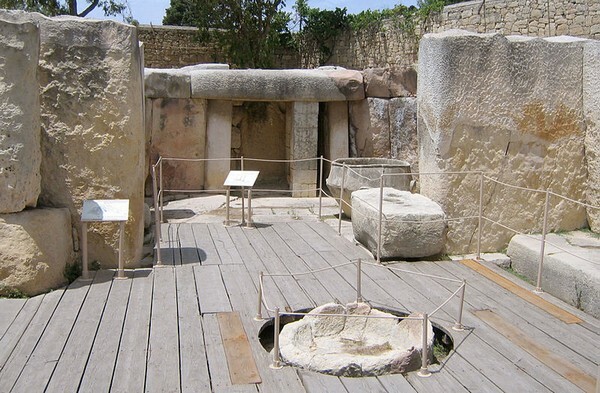 These Temples on the island country of Malta have been claimed as the oldest free-standing structures in world. The structures were constructed during three distinct time periods approximately between 3600 BC and 700 BC, also over 5,500 years ago. Megalithic Temples of Malta were used as religious temples, and are the oldest of their kind in the world. See also; Top 10 Oldest Temples of The World. The Tumulus of Bougon or Necropolis of Bougon is a group of five Neolithic barrows (Tumulus A,B,C,D,E,F) located in Bougon, France. Their discovery in 1840 raised great scientific interest. To protect the monuments, the site was acquired by the department of Deux-Sèvres in 1873. Excavations resumed in the late 1960s. The oldest structures of this prehistoric monument dated back to 4800 BC.